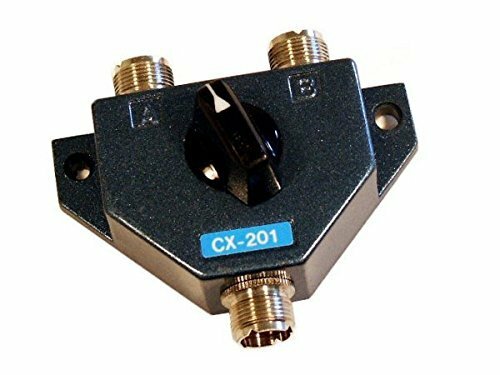 Heavy Duty 1,000 Watt Antenna switch for Ham Radio, CB, Scanners and Two-way. HF/VHF/UHF compatible. Accepts cables with PL-259 Connectors. Model CX-201, CO-201 or CS-201. Color may vary from photo. 2 Way Antenna Switchbox for Amateur Ham Radio, CB, Scanners & Two Way. Rated 1kW. Accepts Optional cables with PL-259 connectors. Xmit Capability from 1 - 600Mhz. If you have any questions about this product by Victory, contact us by completing and submitting the form below. If you are looking for a specif part number, please include it with your message.